I started thinking about this recently, when I asked myself the question: what do I love about this area that I now call home? In other words, I was trying to find new ways to be positive and look for the good in my new location. I have been living here for almost two years but sometimes I still miss “home”. Even though I chose to move here for the right reasons, and I’m not that far away from where I came, I still struggle with these thoughts off and on. So, instead of dwelling in the past, I decided to appreciate the present. To find the good and appreciate what I have, here and now and to build a connection to this new place. It’s hard to tell how windy, rainy and basically miserable the weather is in this one because the barn is just too cool, to worry about all of that. This was a new and random find, on our way out to dinner. All it usually takes is turning down a side country road or even into a subdivision, they’re everywhere and one will appear pretty quickly. Barns for days. Ahh, I love this time of year and time of day – my stepson agreed to go barn-hunting with me, at just the right time. I knew I wanted to show the sky but we also had to be quick and safe, so I picked this one. He offered me some advice on which angle I should shoot from but I liked this one with the sky behind it. This is just a neighborhood barn, right next to someone’s house and about four other barns. So happy to have some color back in my shots! I liked the sun hitting the overgrown grass, in front of this old barn. There are actually two barns here but the highlight of today’s shot is this really rundown one, it has so much character in one spot. Never underestimate the de-stressing power of staring at an amazing barn, on a country road, even if only for a couple minutes. It works every time! On my way to work barn – quick and easy and right on my commute – barn for the day – check! My husband asked me if there was anything he could do for me, because I wasn’t feeling great. I asked if we could stop to take a quick barn pic on the highway, because we would be gone all day… I’m a bit obsessed with taking these barn photos, every day. I’m not surprised that I’ve already gained so much more than I was ever intending, since I began shooting my barns back on July 1st. I know exactly why I started this project, there are several positive reasons but the more valuable ones seem to have come to me, unexpectedly. 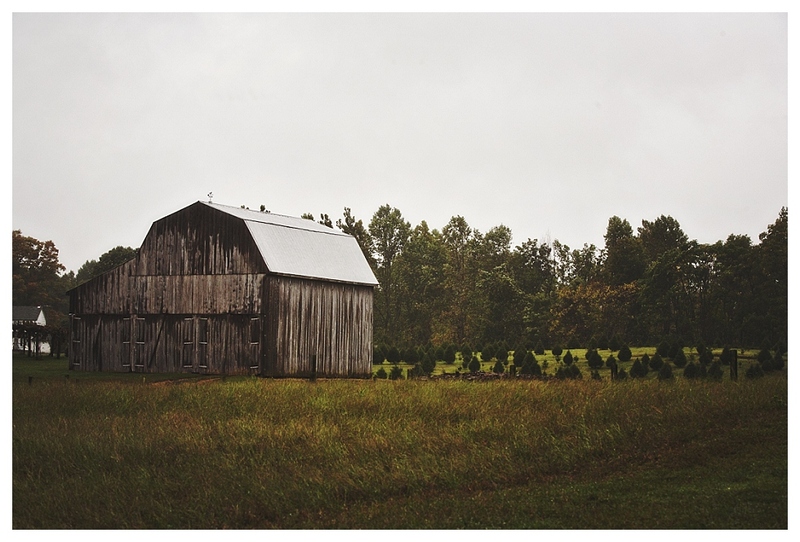 This is one of the barns that inspired this whole project. I pass it multiple times a day and I always admire its beat up character, as it sits on the edge of this busy country road. I knew I wanted to shoot it early in the morning, even though I rarely see it at that time of day. I’m glad I was finally able to give this one a good shot, who knows how long it’ll be here! 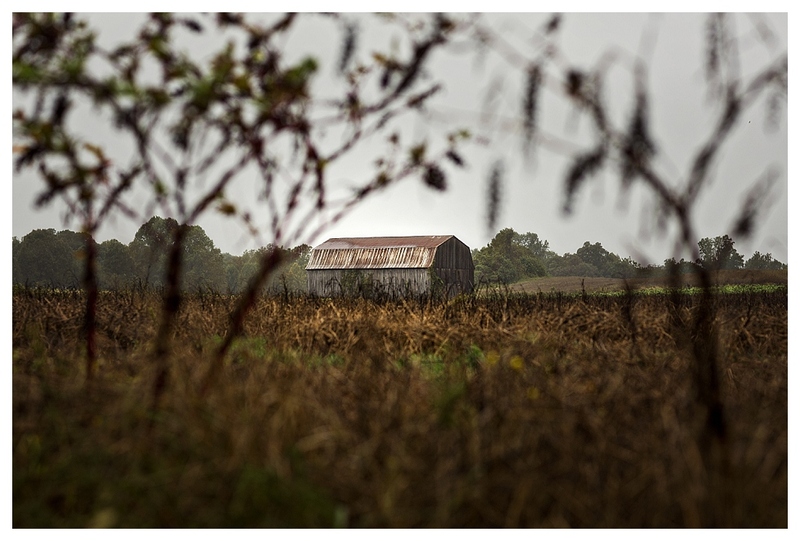 I took photos of four different barns, all within a very small radius of each other, this morning. The light was so gorgeous and I was just in awe of so many beautiful scenes, I just couldn’t decide on which one to use. I went with a very unique name for today’s barn – a quick pic on my way home from a shoot. I’m loving all the shades of fall along with this one. Barn Project FYI – if I shoot a red barn, I can never edit it into a black and white image, it must stay in vibrant color. I liked this angle through the trees, shot conveniently from the Huntingtown Methodist church parking lot. They were not shades of fall, yet, but I still liked how the leaves gave this one a nice framing. I almost skipped out on today’s barn because, as is usually the case on Saturday, I was rushing to a wedding. But I had a few minutes to spare and I’m glad I caught this one, with all the pumpkins out in front. Definitely a good fit for the month of October. This is one of the closest ones, to my house. I was saving it for a lazy day but I was also holding out on shooting it, because I knew the fall leaves would make it look much more exciting! Yep, this one sits right in the middle of a trailer park. Nobody seemed to mind us pulling in and doing a mini-session of this one, sitting in the bright sunshine. I first saw this one in the summer but it was so covered in green and by the corn, you could only see the roof! I was out barn-hunting this morning and not coming up with any good ones, until I passed this one. I’m liking it a lot better, now! So, we had to look hard at this one to figure out whether it was a barn or a house, due to the two windows and a slightly different look but I’m pretty sure this is a barn. I have been down this road once before but this is the first time I saw it, I love when I find new ones! It’s like my own personal scavenger hunt and now that the leaves are falling, I’m seeing even more. I’ve always admired this one, sitting in an open field with direct frontage on the busy highway. 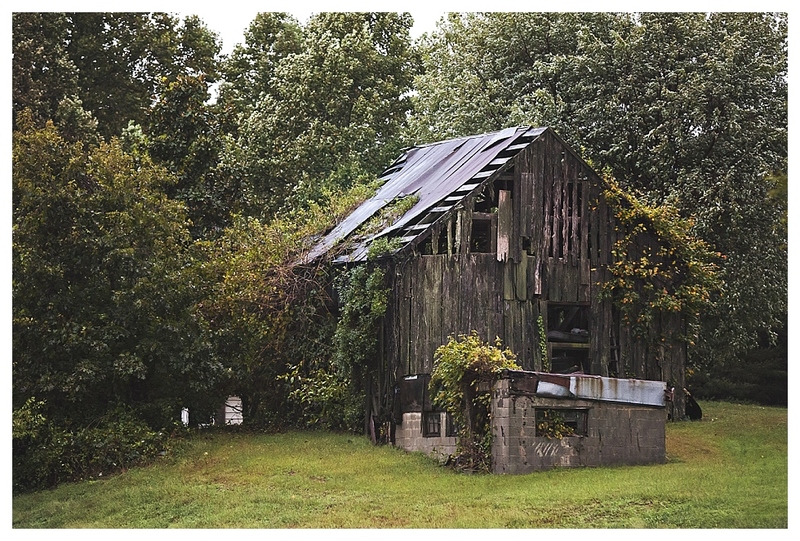 One of my goals, with this project, is to photograph as many barns along Rt. 4 as possible, since I feel like those are the most threatened by development. Even if they are not torn down, if the land is developed, the landscape will be forever changed. So, yes, that was me on the side of the Rt 4 highway, during rush hour. It was kinda exciting being that crazy barn lady on the side of the road. The danger was worth it, this is how I always wanted to shoot this one ~ at sunrise. This one looks really cool in the sunlight, however, it is even cooler that it is right on my commute with easy to access, which is always key on wedding Saturdays. Two kids were playing in the yard right next to it and started to tell me it’s history. They said it used to be an apple farm, which I have no idea if that could possibly be true but it was cute, none the less. I initially wasn’t seeking out a sunset photo, I just had to get a shot in, before it got dark. But then I saw that the sky was looking cool and headed to an area that has some awesome open views. I’m glad I did, this barn and sunset aren’t too shabby! Another gorgeous view and barn, this shot is just missing the sun dog, which was up in the right corner. I tried really hard to get it to show up, it’s just a little lost in the mix of colors. Definitely a lot to take in here and it’s still very beautiful! I knew this was a good one, I knew exactly where to park and get out, on this busy country road. I had both dogs with me and plenty of cars passing, when I quickly jumped out for a quick snap across this field. Then I realized the car was still in Drive and was drifting away from me, towards a tree with the dogs inside…. luckily I caught it right away and jumped back in, and today’s barn hunting ended on a positive note. It’s never a dull moment on these barn adventures! I’ve taken photos of this one at #ACLT before, it’s along some of the trails that I run. This morning, I shot it from all sides until I saw these red leaves and knew I wanted them in this shot with the sunlight hitting them! I love when I can get up close to barns, I’m so used to shooting them from far away, it makes for a very different perspective. Four months of my project have been completed, I can’t believe it! Today’s barn is dedicated to the two cyclists that were struck and killed on the road right in front of my house, this afternoon.